Pre-holiday hustle has captured the Snow Boundary. While the Elves hang multicolored light garlands and pack the remaining gifts, we have time to take a mug with cocoa, snuggle in a cozy blanket and find out what the World Creation Day will bring this year. But this couldn’t be done without some adventures, right? 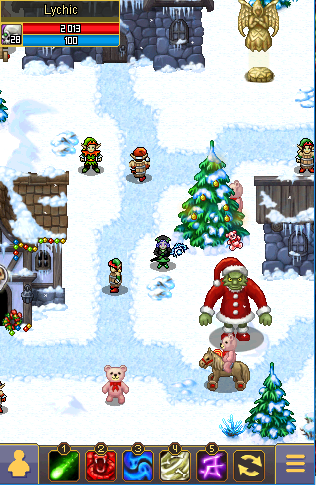 The treacherous Grinch, a long-standing foe of White Beard, returned and again wants to spoil the annual holiday for the inhabitants of Arinar. Are you ready to stop a green villain and save the World Creation Day? 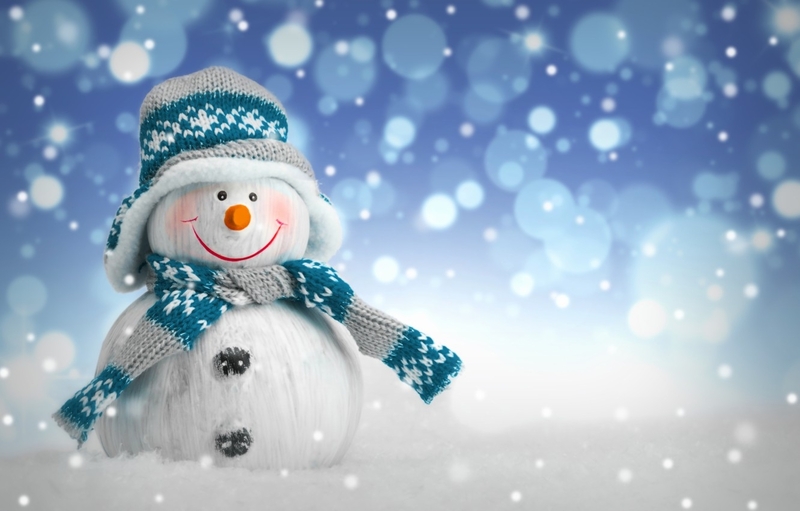 Then grab your best equipment, festive mood and go to the Snow Boundary! 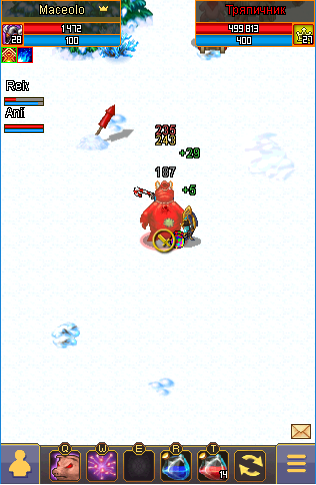 Lots of enemies tested a Snow Boundary’s strength. Almost always their only weapons were force and fury. But the new enemy is much more dangerous, because he set out to destroy the very essence of the World Creation Day! It's the Grinch, an old foe of White Beard. Scrawny giant turned green from the fierce hatred for this holiday. The Grinch is spreading gloom that can poison souls and ruin the magic of the World Creation Day. The crowd of his minions - gremlins - invaded villages on the island, creating mess and chaos everywhere. And even many of the Snow elves, the faithful servants of White Beard, declared a strike, falling for the words of the Grinch. It seems that the World Creation Day might turn into a real nightmare! 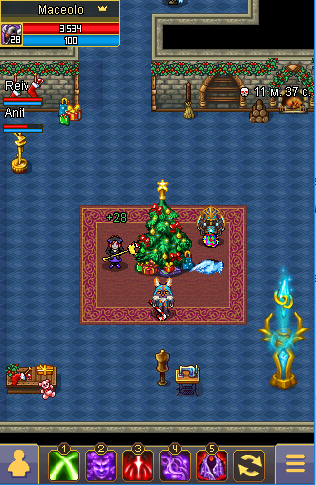 This time the heroes of Arinar must save not just the Snow Boundary, but also the spirit of the holiday! You can't let the Grinch steal the World Creation Day! Snow Boundary has become even larger and, for the first time, it occupies such a big area! This year the huge island is divided into two parts by a magnificent coniferous forest, which was used by the Alliances to separate their camps. 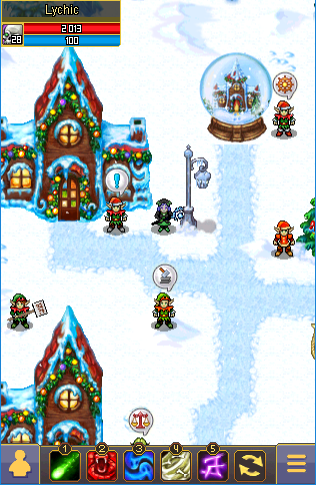 In addition to the starting location - wonderfully decorated city with gingerbread houses and various festive details - there are six villages on each side. Each of them has its own history and character, but the Grinch was able to implement some of his insidious plans in these settlements, so the villages will have to be saved. Also all of them have their own Respawn Statue, so the warriors will not lose their way. The Grinch and the crowds of his gremlin-minions invaded the villages, creating mess and chaos everywhere. In one of the villages residents were put into a deep sleep, in another - angry reanimated toys are walking, and the rest are scary to even meddle with due to the predatory midges and exploding firecrackers! We'll have to try very hard to return peace and help the White Beard. 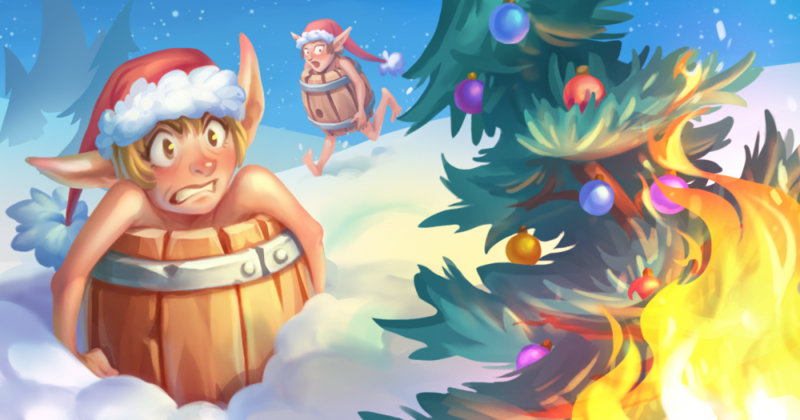 In addition to the main storyline, all players will find a variety of daily quests, where you will need to collect gifts, help snowmen or even raid villages to destroy the Grinch's statues! Forget about the dreary winter evenings, you wouldn’t be bored on the Snow Boundary. In the new Dungeons, where the main treasures of the holiday are kept traditionally, hides the Grinch's beloved pet. Furry Hrumpel, also evil and treacherous, was the only living being to which a green scoundrel got attached to. All childhood Grinch spent near his pet, but over the years the green villain could not give his friend the right amount of time. The Grinch even found relatives of his furry pet, so he won’t be bored alone. But still Hrumpel watched his master with eyes full of sadness in the evenings. Then the Grinch opened a special game room, where the best entertainments for Hrumpel were gathered. And now the furry animal is full of strength to do all the nasty things that the owner orders him. 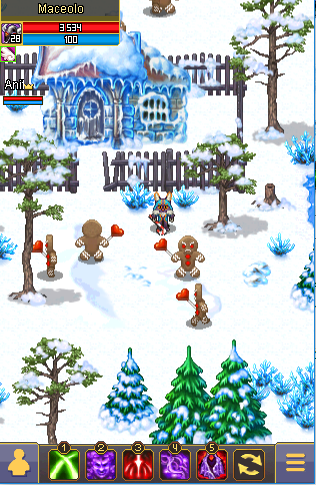 But be careful, because the Hrumpel's game room contains real threat: you have to defeat 8 Ice Valkyries, which reliably protect Hrumpel, get through the maze, where it is important to not let the monsters out, defeat the Indoor Yeti and get out from the trap rooms, completing the quests in each of them, to get to Hrumpel. Ready to challenge the Grinch's pet? Then go ahead, because the winners will receive stunning awards! At the main event of the holiday you will have to go through 6 amazing stages and at each of them you will need to eliminate the aftermath of dirty tricks of Grinch and his accomplices. Be careful, because these cunning villains placed treacherous traps somewhere for sure! The minions of the Grinch tore all the decorations from the trees and spoiled the festive mood of all the inhabitants of the Snow Boundary! 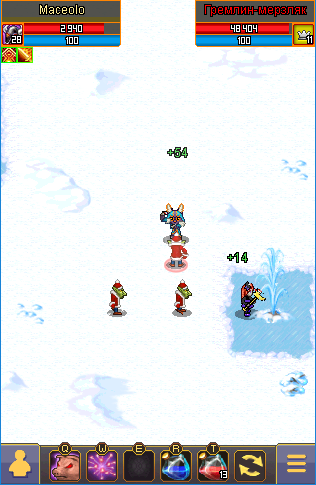 Take away Christmas toys from mean gremlins to return the holiday atmosphere! The Grinch put a spell on the Snow elves and turned them into gremlins - now they play dirty tricks and set the Christmas trees on fire. But there is a way to save the poor fellows: all gremlins like small children can not stand hydrotherapy! Push these green grubs under the water, gushing from the ground! Gremlins-sorcerers have learned to call the spirits of fire from the depths, so that they melt the snow cover of the island. 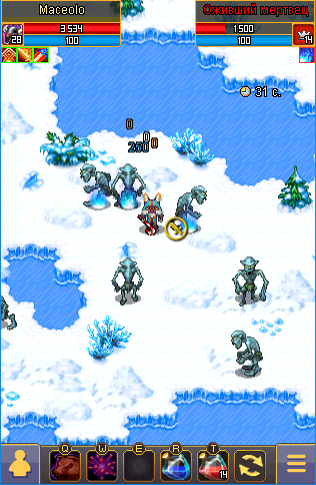 We need to fight fire spirits, while the Snow Boundary has not ceased to be “Snow”! Grinch is one of a trickster: he stole White Beard's sledge with presents, threw out the toys from the bags and put harmful gremlins in them instead. Kids will be horrified to find those gifts under the tree! We can't let gremlins into the house! The Grinch had special plans for the biggest White Beard’s bag. Stealing and reviving it, the Grinch has got himself a faithful servant - Ragman. 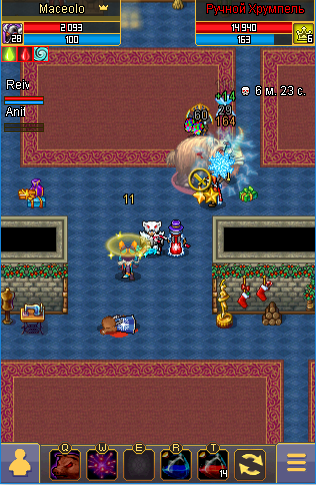 Living bag quickly learned to steal gifts without any assistance. It's time to teach a lesson to Ragman - let him return all of the stolen goods! The Grinch's hatred for the World Creation Day is contagious: even his dog Fluff turned green with anger! Fluff adores his host, and it’s no wonder: the Grinch feeds the insatiable dog particles of the World Creation Day’s spirit! Hunt down and kill the green dog before he ate everything! Participate in the new Guild PvE-events on Snow Boundary to return the spirit of the World Creation Day: you will need to defeat the main villain Grinch and his treacherous nephews. The Grinch became not just the cause of all troubles in the Snow Boundary - he stole the spirit of World Creation Day! The green-skinned giant thinks that he's omnipotent, but he's not. The Grinch must be punished for his crimes! 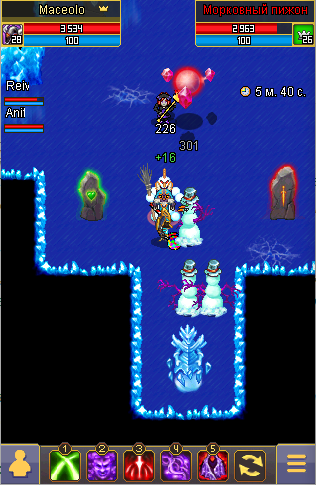 Conditions of activation: complete 20 times any dungeon in the Snow Boundary. Nasty gremlins flooded forests and villages of the Snow Boundary, but four nephews of Grinch rule over these hordes of pests. We must hunt them down and teach them a lesson: it will start the chaos in the ranks of green shorties. Conditions for activation: garner 20,000 Guild points. Restart time: 6 hours after the event ends. 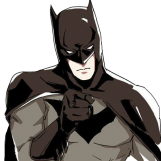 But we did not forget about the fans of PvP! 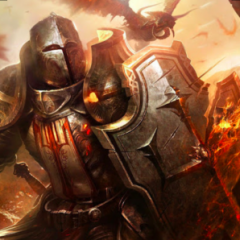 Players will be able to take part in a special event, where the task for guild will be to kill the enemy Alliance’s warriors in nearby villages. So no one will get bored on The Snow Boundary! Grinch’s treachery knows no boundaries: he lured to his side many creatures of the Snow Boundary. He even managed to brainwash some of the warriors of the enemy Alliance. Breaking the holiday truce, they have traitorously turned their weapons against you! You can’t tolerate that anymore! Traitors should be expelled from the villages! 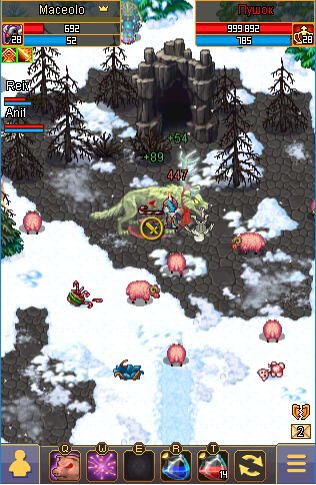 Conditions of activation: kill 10 players of enemy Alliance is not below the level of the character/group on a Snow Boundary. Visitors are always welcome on the rides! 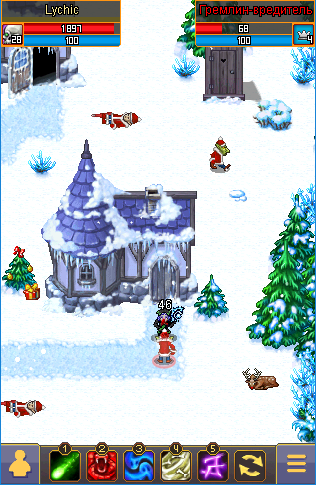 Come have fun on The Snow Boundary and earn Good luck tokens, which can be exchanged for great prizes. Gremlins are wrapping themselves in sheepskin coats because they are not used to the cold. It's time to show the pests a real frost: you should put as many green-skinned in ice water as you can to cool their fervor. But beware of the team leaders of gremlins: simple gremlins will scatter in all directions when they see them. The more gremlins you will be able to put into the water, the more impressive will be the reward. Gremlins dug up the walking dead from under the snow - a terrible reminder of the past battles. Without thinking twice, the Grinch put them into action! 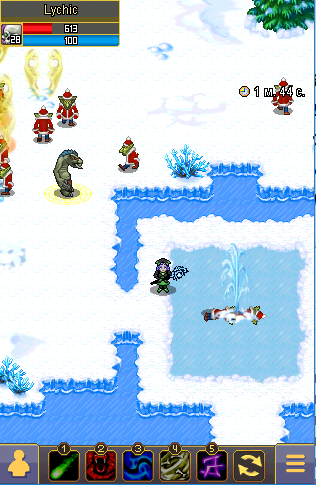 It is necessary to quickly kill the icy deadmen with the help of a special flaming oil. Burn the walking dead - and the Snow elves will give you Good Luck tokens. 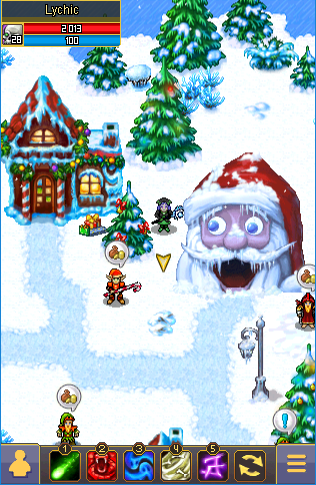 Many creatures of the Snow Boundary turned to the side of the Grinch and now arrange devastating raids on the village of Snow elves. There is not enough defenders and so you will fight the raiders alone. However ancient stones will help you in battle, but use them wisely! Hogshead gained fame by participating in battles against the most dangerous opponents. His blows are tricky and cause enemies to bleed, and the Hogshead himself is a guarantee of reliability in battle! The fountain of sparks will fall on your enemy, causing him physical suffering, and the rays of lights will cool the battle fervor of the enemies nearby. Green villain summoned his nephews, who with great pleasure agreed to participate in this mess and spoil the long-awaited holiday of all people of Arinar. Insidious pests hid in houses, connected by a dangerous system of room labyrinths, when they reached the most remote villages. Find all four on the Snow Boundary to stop their terror! The youngest and dumbest of four. Drags a bag with stolen gears and other gears everywhere: he expects to build a toy railway from them, which, as a child, he wanted to get as a gift. Butch's twin brother. This sweet tooth and dandy is cowardly and prefers not to mess with those that are stronger than him. For him there is no greater joy than to steal a lollipop from a child. Strike's twin brother. Always has cold because of his love for ice cream, he’s armed with an ice cudgel. But since, in his opinion, the brains work better from the cold, Butch never hits enemies on the head. The oldest of the Grinch's nephews, who hates the World Creation Day almost as much as his uncle. The bell in his hand keeps ringing, literally driving everyone mad – but Grunt doesn't care as he's plugged his long ears with cotton candy. Prove your strength and defeat the green villain! It's the only way to return the spirit of the World Creation Day and save the main holiday of the year, which everyone is looking forward to. People say that as a child it was his favorite holiday: the Grinch even dreamt to become one of the White Beard’s assistants. But the elders told him that the one who believes in the World Creation Day and the White Beard, will never grow up. Then the Grinch started to hate the holiday and its magic. And when the World Creation Day came to Arinar, the Grinch secretly set the house, in which his family celebrated holiday, on fire. The next morning, he turned into a green giant with a heart, dried-up from anger. 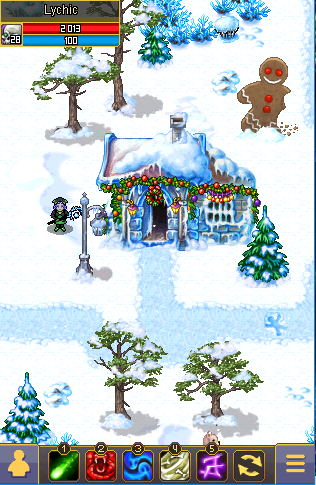 Collect all achievements of the World Creation Day, while festive music and slowly falling snow will bring a special atmosphere to your travels around the Snow Boundary! That’s all for now. Detailed information about rewards, gifts and surprises (and there will be a lot of them) will be announced on the day of update release. And we promise, you will find a few more very interesting surprises. We wish you all a great christmas mood! Haaaaaaaaaaa we were waiting for that! When is test server if I may ask? There better be a barrel costume like in the artwork! 28lv block! i am coming! 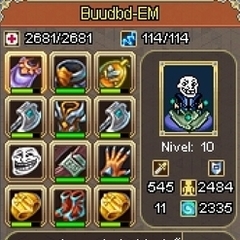 same things every year, and almost same as Halloween event, but with snow and different bosses\drops. Yes, definitely the same as Halloween. Of course It won't be same as halloween locations, monsters and quests. but the routine of events are the same. 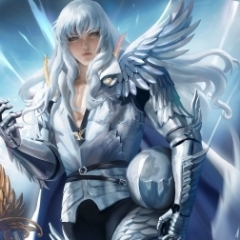 quests in the whole map, killing mcs\elves quests, achievements for doing events and killing monsters, dungeons for different levels, snow weapons, chests, costumes, buffs, skills, we will have a week of x3 guild points, and double drops. everything is so predictable, nothing really new to be excited about. Something different that stands out among the previous years? 1- I hope the dg isn't 2 mins long. We do what the players expect and want, but in every aspect we add something new and interesting. I don't want to argue with you, soon you will be able to see everything yourself. P.S. I hope you'll like it. no one is arguing, just ... every year we expect much more than we saw last year, and we are seeing the same thing as all the past years! We only ask ourselves this question: Wait a whole year to see the same thing? we all know we are waiting for something. ppl just dont want to show it. And we promise, you will find a few more very interesting surprises. Tomorrow I will publish links to the test server. If some mechanics have been repeated, it's because it works and people like it, Is it a bad thing?! .. Changes will always be made, but we should also take the risks of it into account. That was the year gm read my mail and introduced Lifesteal. 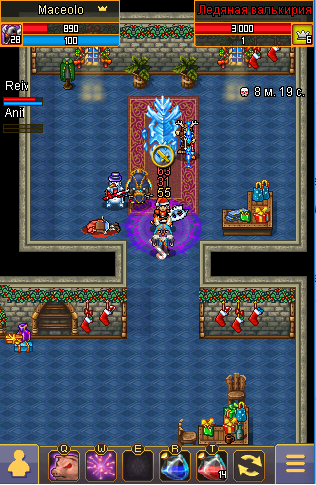 And on that event I did everything I could to get the most op weapon, Night prince Bow. Also Will there be [Book "Enhanced Resistance"] This event too? What's the % of it because last event it wasn't told. But for every other event you told % of other books to parameters. What are you expecting? Its a winter event, not many people expect more than last year, just something to do outside of the usual ayvondil routine. 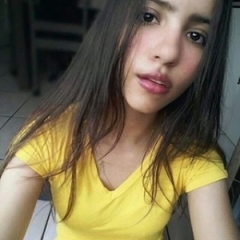 I always wait for the best every day! Does not the same thing always bore you? But its not always the same, there are new bosses, costumes and achievements, and also quests. I get your point but logically they cant add more and more each year. They need to work within certain limits. Oh and also forgot rides, those are something they added, not recently but they did. some people dont understand balance. mostly people with +10 and nothing else to do.